Keys to the Streets began as a SFU Semester at CityStudio project in the spring of 2013, placing one piano at McAuley Park. 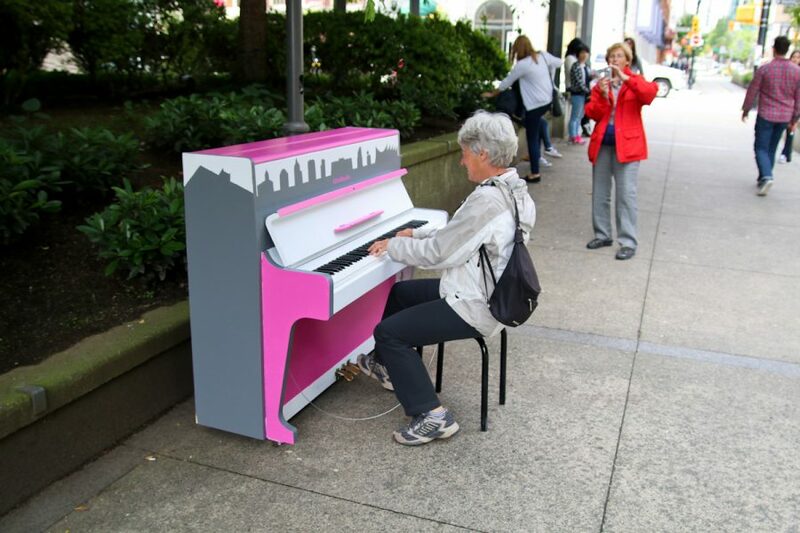 That summer, GP Mendoza lead the project’s expansion pilot throughout the City of Vancouver with four outdoor pianos. CityStudio expanded the program once more in the summer of 2014 with 10 pianos. Each piano is placed in an outdoor public space with a bench and a rain cover and is looked after by a community steward for the summer months. 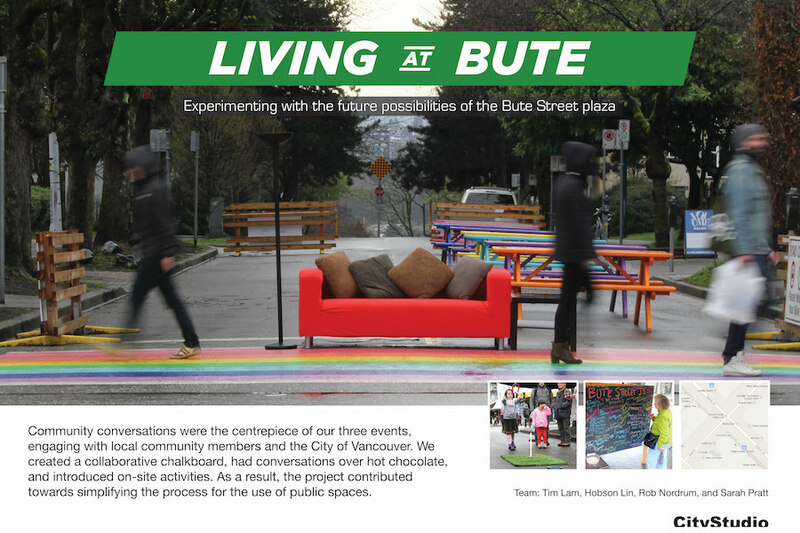 The project is made possible through partnerships and collaboration with City of Vancouver staff, community organizations, individuals and business sponsors. 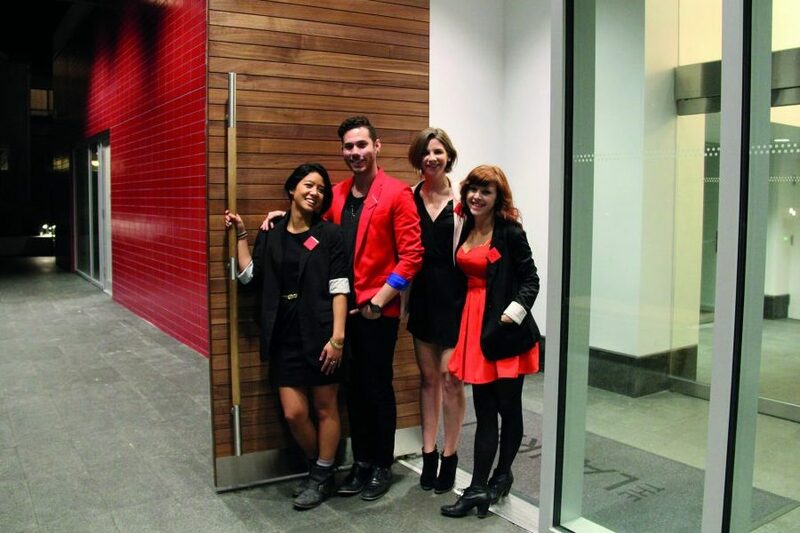 The project was inspired by “Play Me, I’m Yours” and other similar pop-up initiatives in Montreal, Toronto, and New York. The project also grew by creating stronger partnerships and turning the pianos into public art. 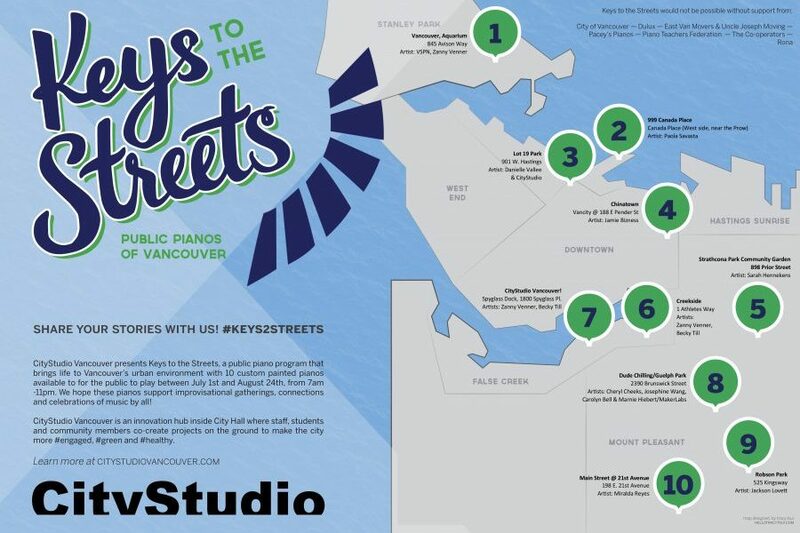 Keys to the Streets seeks to build upon this spirit of inspiring music and creativity in our urban environment through revisiting the public piano concept in a way that is uniquely supported by Vancouver community organizations. The project continues to this day, now stewarded by Pacey’s Pianos and the Pianos on the Streets program. August 12, 2014 – Join us on August 26 for our Sunset Serenade as we bid farewell to another summer of pianos, music, and community building! You can find more information on our Facebook Page. July 31, 2014 – The pianos have been tuned! Big thanks to Byron and the Vancouver Opera for sponsoring us for the tunings. July 24, 2014 – You may have noticed the Dude Chilling Park (Guelph Park) and Main & 21 St. pianos are no longer at their locations. The Dude Chilling Park piano has been brought back to the studio for maintenance and repairs. TheMain & 21 St. piano has been replaced the orange Creekside Community Centre piano. Feel free to visit our other 8 locations in the meantime.